Our Phoenician Dining Table is handcrafted in a solid steel frame and finished in White. The frame is the perfect base to hold a glass, concrete or marble top. 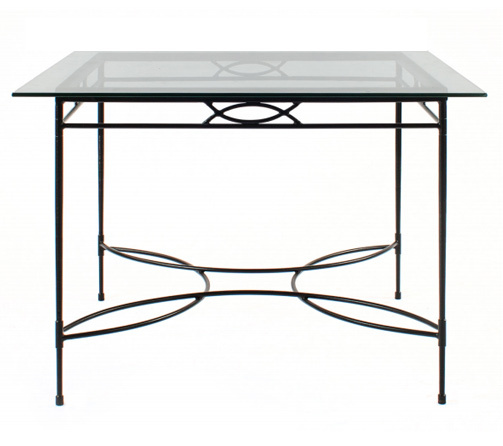 The legs on this outdoor dining table celebrate arches and circles giving the frame a seamless fluid feel. Pair the Phoenician Dining Table with existing patio furniture or our dining chairs and long bench for a complete retro vibe. 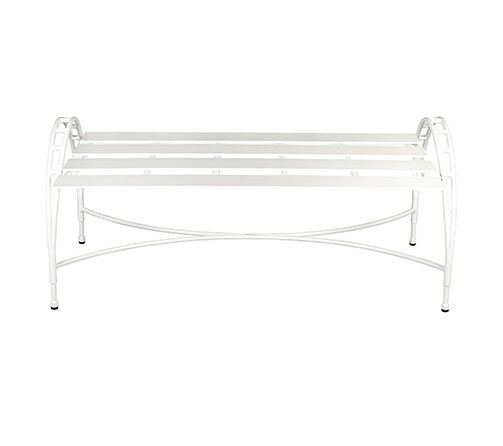 AS SHOWN: P4D, powder coated in Alabaster White. 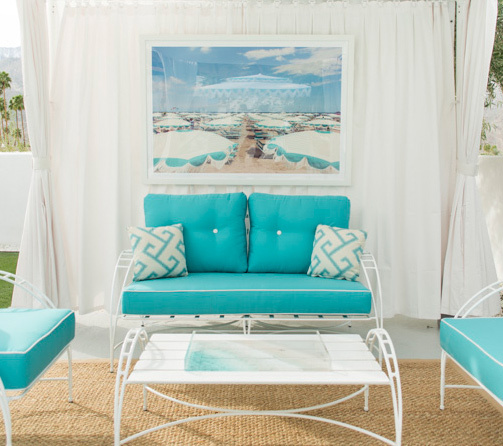 The Phoenician Collection, designed by Robert Howard, was featured at The 2017 Christopher Kennedy Compound Modernism Week Showhouse at Villa Golightly. 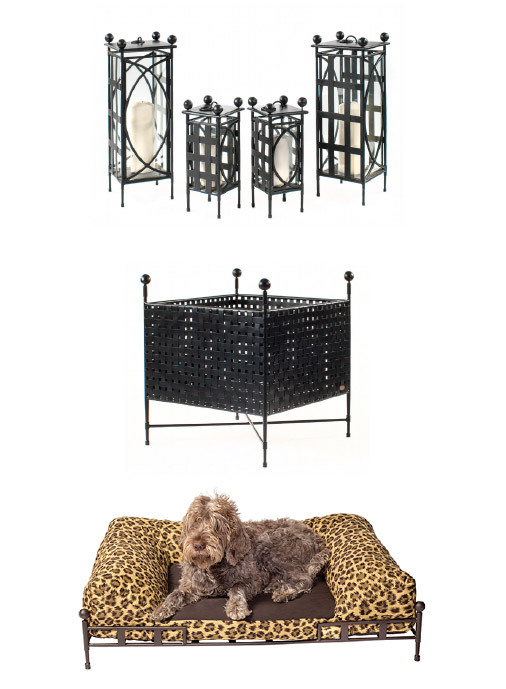 This stunning collection is a deep seated comfort line, celebrating arches and circles. 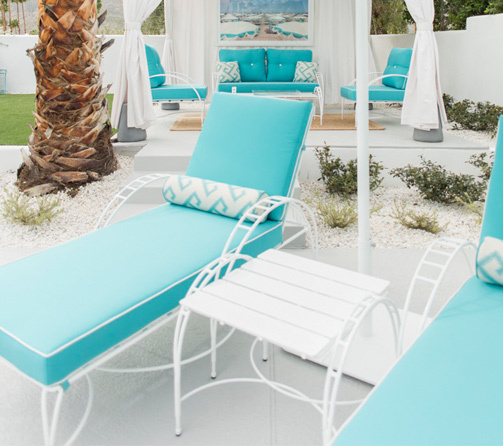 The finish and fabrics selected for the site have a relaxing retro vibe, reminiscent of drinking Singapore Slings and Gin Rickey’s poolside, circa 1955, the year Amalfi Living originally started. 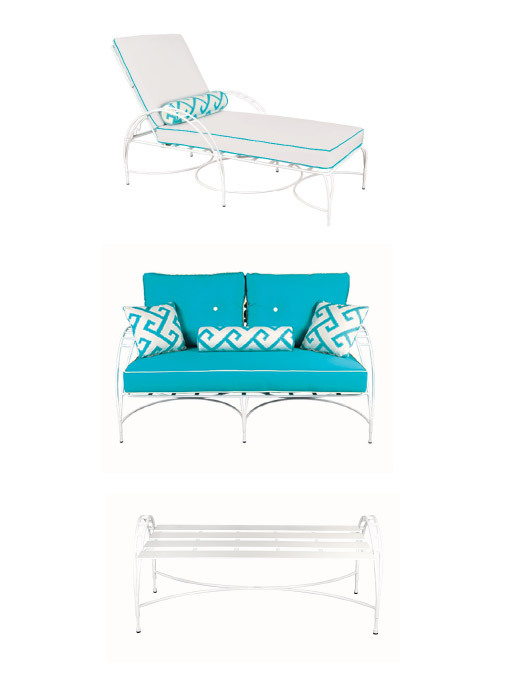 This stylish line is made by the same master craftsman who handcraft the Amalfi Collection, one piece at a time, right here in the USA. 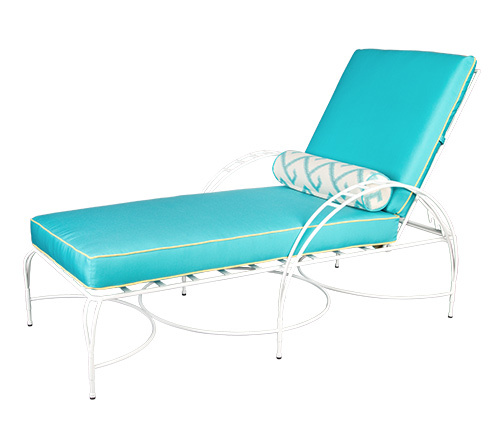 The framework is available in either solid stainless steel or epoxy coated steel. 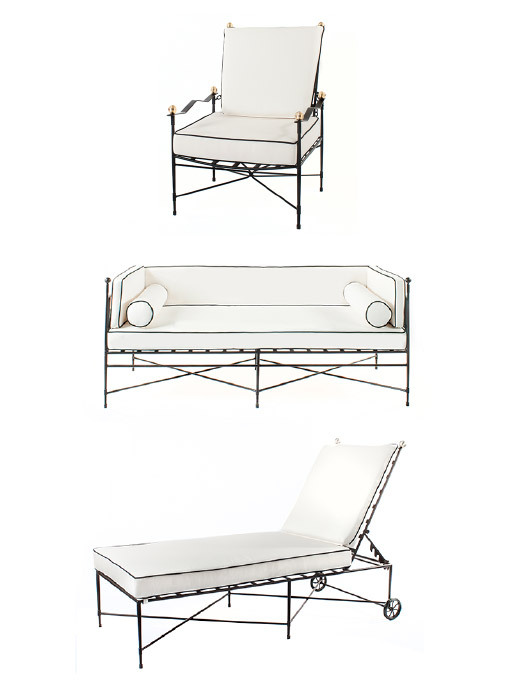 Fully welded and electrostatically powder coated, our outdoor furniture is rust resistant and our stainless steel frames are rust proof. 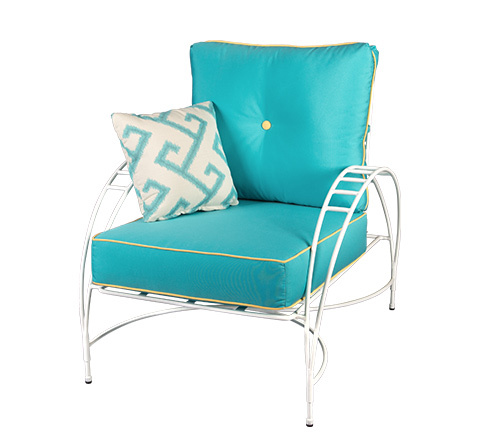 Cushions and contrast welting are included with each order. 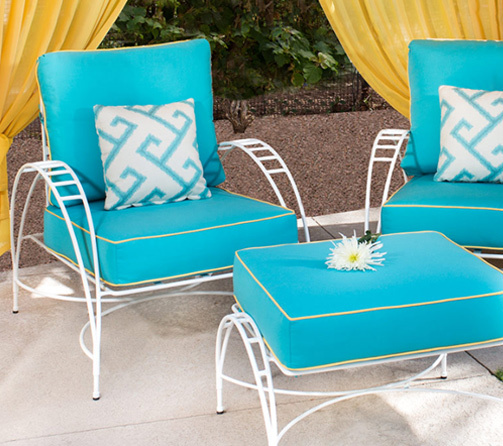 Choose from over 300 Sunbrella Fabrics or provide your own material at no additional cost.